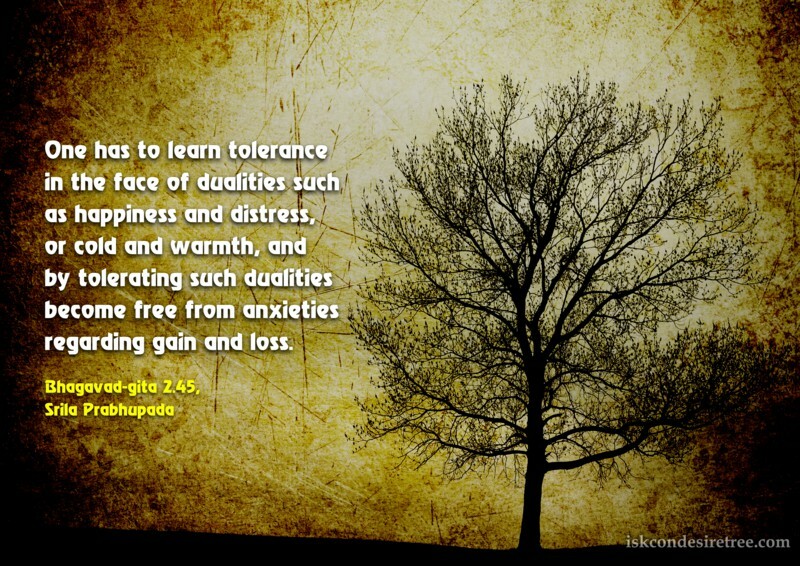 One has to learn tolerance in the face of dualities such as happiness and distress, or cold and warmth, and by tolerating such dualities become free from anxieties regarding gain and loss. Grudge for some one means you drink poison and expect the other person to die. A devotee always accepts his distress as minimized by God’s mercy, though he might have to suffer many more times the suffering. Anyone who accepts this philosophy of God’s mercy in suffering conditions and still makes progress in Krishna Consciousness, He is sure to go Back Home Back to Godhead.